The present perfect is a present tense so it only tells us about now. The past simple is a past tense so it only tells us about the past. 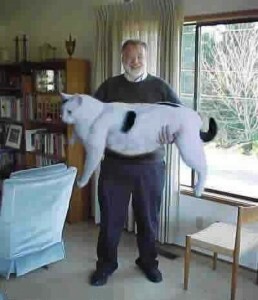 I have been feeding my cat some special food, so he has grown very big. Last year he was very small.
. . . has grown . . .
Last year he was . . .
• I have told you a million times, don’t speak while you are eating! • Last week Ginger went for a beauty treatment. Remember: Present perfect is about the present. Past simple is about the past. Use either the past simple or present perfect form of the verbs in brackets to complete each sentence. She bought a new car in 2011. Past simple because 2011 is in the past and has finished. Also, buying the car was a short action and has finished. She has bought a new car every year since 2005. Present perfect because the time of buying the cars started in the past is still active. Also, buying the cars started in the past and has continued to now. Now she is buying cars. She has been late four times this week. Present perfect because the week started in the past and hasn’t finished. Now she has been late four times. I drank three glasses of wine last night. Past simple because last night is in the past and has finished. I saw my girlfriend with another man on Saturday. We have not tried chicken tandoori before. In April 1912 the Titanic hit an iceberg and sank within three hours. Elena has always written with her left hand. Present perfect because writing with her left started in the past and hasn’t finished. Now she writes with her left hand. We have owned this radio since 1954. After he arrived home he unpacked, had a bath and went to bed. Past simple because he arrived and unpacked in the past – before he went to bed. The weather was so nice, so I decided to ride to work. Past simple because we are talking about the weather in the past shown by the use of was. I have not seen Peter since I arrived. Present perfect because being here started in the past and I am still here. I have not seen Peter during my time here. No one has managed to complete the crossword yet. She went to Costa Rica, but now she has come back. I didn’t take the dog for a walk because it was raining. Re-write each sentence CAREFULLY using either the past simple or present perfect form of the verbs in brackets. I have returned the shoes I bought because they didn’t fit. My nephew has lived in Thailand nearly all his life. I haven’t heard from my friend for more than a year. I wonder what he is doing these days. The police arrested two people early this morning. Past simple because the early morning has finished. It is also possible to say The police have arrested two people this morning without early. This would suggest that now it is still morning. It has taken me two weeks, but I now know who is the nastiest person in the office. Present perfect because the two weeks finished at this moment, and I now know who is the nastiest person in the office. How many games has your team won so far this season? Since he heard the announcement, he hasn’t stopped drinking coffee. Past simple, Heard, because the announcement was a single action in the past which has finished. Present perfect, hasn’t stopped, because he started drinking coffee in the past and is still drinking it. I just haven’t had the time to go to the gym recently. She won an absolute fortune last year. The weather was dreadful for the whole two weeks we were there. Yesterday the sun was shining, and the ducks enjoyed a lovely walk. Today it has been very windy all day and their walk hasn’t been nice. The past simple is a past tense so it only tells us about the past.